This chapter situates Alice Childress’s Wedding Band: A Love/Hate Story in Black and White (1966) in the shifting landscape of racial politics as the Black Power and Arts Movements emerged in the United States. 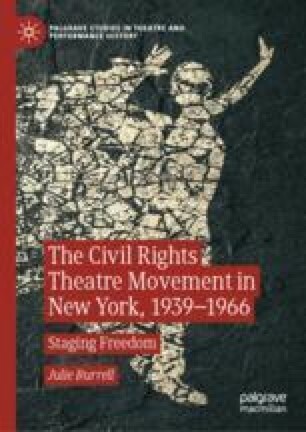 Seen as a minor historical drama during its time, Childress’s feminist play was not read as part of the Black Arts Movement because it neither depicts revolutionary violence nor employs experimentalism. Childress’s play, however, shifts black nationalism into a feminist frame, troubling the interpretation of Black Power-era nationalism as monolithically sexist. Childress was one of the foremost authors to script black America’s disillusionment with the traditional civil rights movement, as well engage both the advantages and the shortcomings of black nationalism for women.